Working from home is no longer a crazy dream but more of an economic necessity for many people. The recession caused more than 400,000 stay at home moms to start looking for work to supplement their already existing income. While some online job adverts are scams, there are many home based job opportunities that are legitimate and well paying. For many people, work at home jobs offer benefits such as a flexible schedule, extra income with benefits and minimal dressing up for the day. In addition, you need to have equipment like a computer with high speed internet, telephone line plus a desire to work hard. 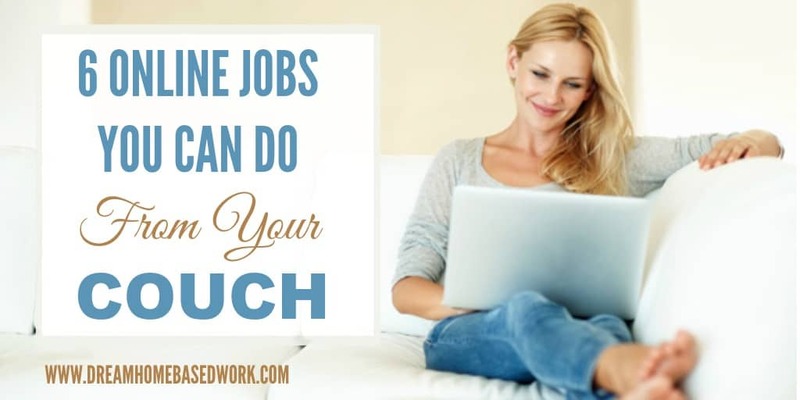 Getting a job as a virtual assistant has become very popular among people looking for work at home jobs. The duties performed by a virtual assistant resembles those of a regular office assistant which includes booking appointments, managing schedules, transcription, coordinating travel arrangements and more. However, the virtual assistant works from the comfort of their home. Here are some sites you can refer to if interested in becoming a virtual assistant. If you are gifted in making crafts and love creating handmade items, you can sell them online and earn money. There are many online craft shopping sites that make it easy for online users to buy and sell items on the Internet. Here are some companies that allow you to sell your crafts and goods online. Did you know that you can get paid for testing out different products? If you didn’t know, then the answer is absolutely, Yes! Many companies rely on product testers to give them an opinion on their newly developed products before releasing them into the market. Since they are ready to pay for these opinions, this job can become very rewarding as well as a fun way to make extra money from home. Huge list of more writing companies here. Are you gifted with a camera and can take captivating photos? If you are a photographer, you can sell your images online and make extra money. I have put together an ultimate list of online sites that will allow you to turn your photography gift into cash. If you are often accused of being a “know it all” by friends or family, you can offer the advice to people that need it and get paid. Giving your expert advice online can be a great way to earn extra money for giving your professional opinion. Although, this online job cannot be a full-time job, these sites give you a chance to earn some money on the side. Finally, if you decide to work from home, it is important to keep your work neat and organized. Most times, if you kids or other people living in the home, it can be messed about, making it hard to find important work documents for your work. Always keep your work in a designated place, so that you can be more productive and manage your time well. These ideas should be appreciated. Awesome! Glad you enjoyed the information I shared. Best wishes to you!